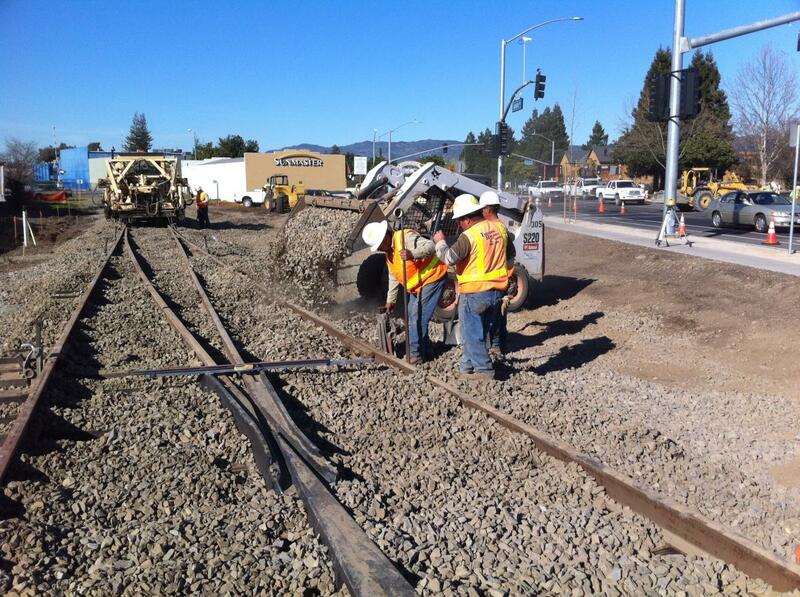 IRC has been maintaining railroad spur tracks and mainlines since day one. We have maintained the Bay Area refineries and others with annual contracts now in place for over 40 years. The average life of a spur depends on use, drainage, and quality of materials used when constructed. When a track is taken out of service, IRC responds immediately the same day as we value the fact that rail service is a lifeline to keeping businesses in fluid operation. 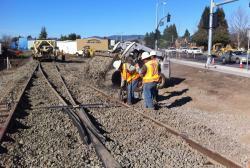 Our railroad track maintenance service is also designed to function in conjunction with our monthly track inspection services. These reports provide our clients with immediate notification of any developing problems/defects and estimates on corrective repairs at no cost. Lubricate and tighten track switches. Change out of ties and/or rails.